Packed with information that is both succinct and relevant. Reminds us of the beauty of the Maltese Islands and entices readers to physically discover it. Highly recommended for any holidaymaker who wishes to explore beyond the obvious tourist attractions. A favourite. This excellent pocket guide gives you all the necessary details and more for 10 of the best walks on Malta. Its just been published. But here is a taster. Click on the Gozo sample (15 pages) to get a better idea of what we’re speaking about. 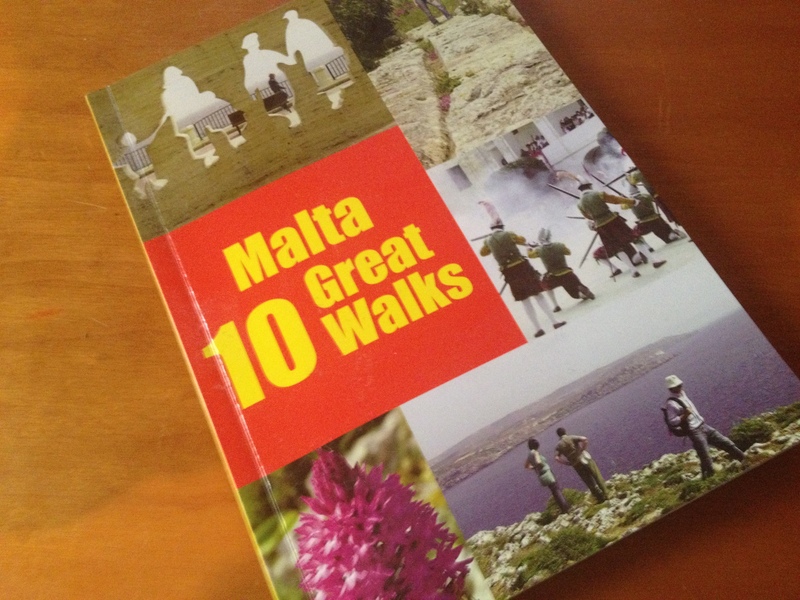 Emmet McMahon and Jonathan Henwood’s Gozo 10 Great Walks comes in handy. The booklet, which is conveniently sized to fit your pocket or handbag, comes with a totally charming glossy cover that reminds us exactly why we all love Gozo and why we should really make more of an effort to discover more of the island. The authors know their stuff and it is immediately obvious that they have taken great pains to actually experience for themselves every itinerary that’s covered. Lovers of walking will now have the opportunity to experience Gozo from a personal perspective.